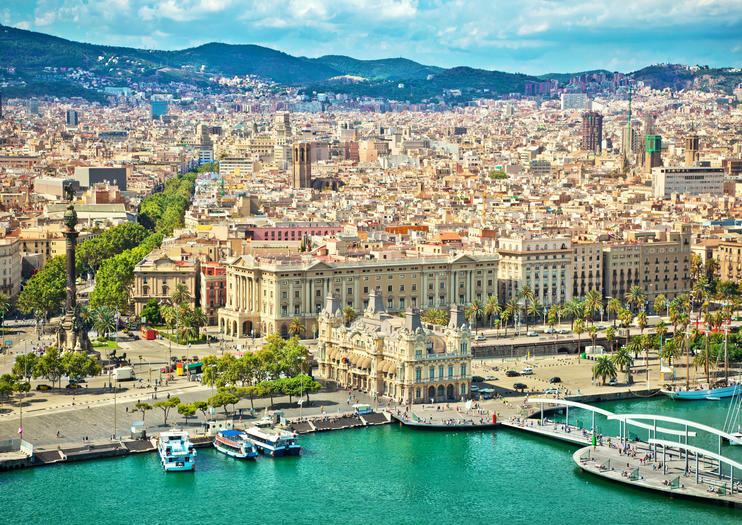 Many travelers whizz through Barcelona in a day as part of a grand tour of Spain or Europe. But, those who spend an extra day in the Catalan capital are rewarded with diverse experiences. From Gaudí’s masterpieces to historic neighborhoods, here’s our suggested itinerary for two days in Barcelona. Morning: Kick off your time in Barcelona with an overview of the city. Jump onto a hop-on hop-off sightseeing bus tour to see what attractions you might want to visit later, or join a private half-day tour with a local for tips on which sights match your interests. Afternoon: Dedicate an afternoon to Spanish architect Antoni Gaudí’s works. After lunch, head straight to the Sagrada Familia, one of Barcelona’s most recognizable landmarks, for a tour. Book skip-the-line tickets in advance or opt for a Gaudí-themed guided tour that also includes a stop at Park Güell. Night: After working your appetite with all that sightseeing, treat yourself to two delicious Spanish traditions: tapas and wine. Typical food walking tours of the old city take travelers to several of Barcelona’s best tapas and wine bars, allowing you to sample a wide range of local favorites. Morning: This is a great time to explore some of Barcelona’s numerous world-class museums. Take a guided tour of the Picasso Museum in the Gothic Quarter, ride the cable car to the top of Montjuic Hill (Parc de Montjuic) to visit the military fortress, or make your way to Plaza España for the National Art Museum of Catalonia (Museu Nacional d’Art de Catalunya). Afternoon: Dive deeper into the local food culture with a cooking class. Visit La Boqueria market to pick out ingredients before heading to a kitchen to learn some skills from a professional chef. Depending on the class, you might prepare paella, garlic prawns, Catalan octopus, or Spanish omelet. Night: Don’t leave Spain without seeing a traditional flamenco show—several venues throughout Barcelona offer dinner and flamenco shows perfect for a romantic evening. Alternately, use your final night to get out on the water and see the city from another angle during a sunset sailing trip along the Barcelona coast. Explore Barcelona’s spectacular coastline and admire the seaside splendor of the city on a 3-hour catamaran cruise. Sail the iridescent waters of the Mediterranean Sea aboard a stylish sailboat; sip complimentary cocktails and refreshing drinks as you feel the soothing Spanish sun on your skin. Stop to plunge into the inviting waters below and play with the floating mat. See all of Barcelona’s legendary landmarks on a half- or full-day electric bike tour of the city. Sagrada Familia skip the line ticket included in the full day option. Explore the captivating Catalonian capital at a leisurely pace on your state-of-the-art bicycle. Cycle around the iconic Olympic Stadium, gaze at panoramic vistas of the city from a cable car, and then sail the sea in an eco-friendly catamaran on a short cruise. Immerse yourself in the modern magnificence of Gaudi’s Park Güell and enjoy an intimate atmosphere on this small-group tour, with number limits of 12. Indulge in the fine art of eating tapas — Spanish-style small dishes — and experience Barcelona like a local. Spend 3 hours with an in-the-know guide who takes you to vibrant tapas bars and bodegas in neighborhoods like El Raval and Poble Sec. Four glasses of wine or aperitif are included with your tapas. By the end of the tour, you will distinguish your 'banderillas' from your 'pintxo,' even if you can't pronounce them! Numbers are limited to 12 people for a small-group experience. Learn about the close ties Pablo Picasso had with the city of Barcelona during this 2-hour tour. Including skip-the-line admission to the Picasso Museum and a walking tour of the Gothic Quarter with vitual reality experience. You will use 3-D technology glasses to show you how was Barcelona in the Roman Age. The contrast between the origins and the present to completely understand the evolution of the city. Get an in-depth understanding of the famous artist and the Catalan capital city as you explore the important relationships between history, art, and the environment it's created in. Cruise the gorgeous coast near Barcelona on the Mediterranean Sea during this 2-hour, small-group sailing trip. Enjoy spectacular views of iconic sights such as La Sagrada Familia, Port Olympic, Montjuïc, Tibidabo, and Barcelona Cathedral. Feel the sea breeze from onboard your modern yacht. Then head further out to sea as you assist the skipper with raising the sails and helming the ship. Then cool off with a swim, or do some sunbathing as you relax with an included drink and snacks. This small-group sailing trip, limited to just 10 guests, also includes a professional skipper. Ride the funicular railway up Montjuïc for spectacular views over Barcelona during this 3-hour private tour. Translated as the ‘Mountain of the Jews’ due to its Jewish cemetery, the hill was home to the 1992 Summer Olympic Games. Visit the Olympic facilities and Montjuïc Castle, then finish with a walking tour at Plaza España, where your personal guide shares the highlights of one of Barcelona’s most impressive squares.